Solvecomp Technologies understand our customers deserve the best customer services and the importance of the post-sales support. Therefore, all customer services will be treated seriously. Businesses choose Solvecomp Technologies because of the priority we place on quality service, ultra high performance and customer care. We work to resolve any concerns you may have right away. 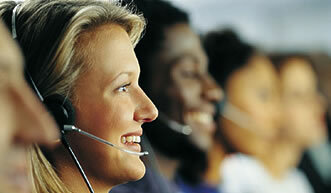 Prompt, effective technical support can be critical for customers who may encounter a problem. Feel free contact us to resolve your issues as quickly as possible. Customer with 24 x 7 maintenance contracts may leave voice mail outside of business hours. If your issue is urgent, our support engineer will be automatically paged and every attempt will be made to contact you within 45 minutes.